Vanilla chia granola is the perfect winter snack, ideal as a hearty breakfast option or a quick grab n’go snack, or as a healthy, crunchy topping for yogurt, ice cream, and more. Granola is a constant in my pantry during the winter months, and for good reason – it’s healthy, easy to prepare, and everyone in the family loves it. I sprinkle it on the kid’s breakfast cereal, or prepare fun to eat parfaits for snacks. As for me, I usually just eat it by the spoonful however, I do often add it to breakfast cereals, combining it with fresh nuts, coconut flakes, and dried fruit for a quick morning or afternoon snack. Granola is delicious, but what makes this particular granola even more delicious is the vanilla. I heart vanilla. It’s one of my culinary love affairs. I’m talking pure vanilla bean, not the chemical-laden fake stuff. That just won’t do in this recipe – or any recipe in my opinion. Recently I discovered pure vanilla bean powder. Albeit it’s somewhat pricey, a little goes a long way, and the sweet, aromatic flavour is just heavenly. If you can’t find vanilla bean powder I suggest you bite the bullet and purchase vanilla bean, which has the same intense flavour. Both add an intense aromatic flavour to this granola, without making it too sweet or overpowering – which vanilla extract tends to do. 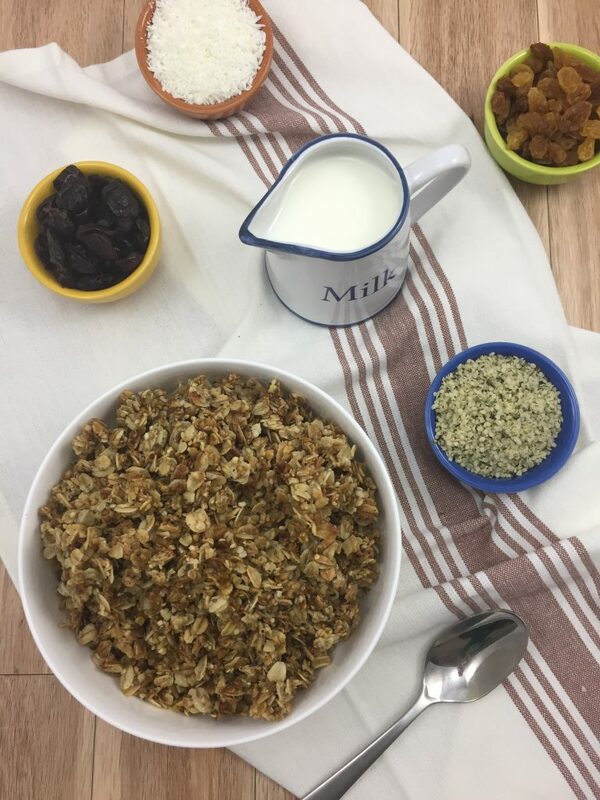 Although there are very simple ingredients in this homemade granola recipe, they pack a powerful punch of flavour – not to mention a healthy dose of superfood chia seeds. Let’s move on to granola. Some like it drier, some like it clumpier. It’s all about personal preference. Be mindful that different techniques and the variety of oats you use in the recipe are the two main factors in determining the overall texture of the oats. Quick oats tend to favour a looser and drier texture, while rolled oats clump together more easily. 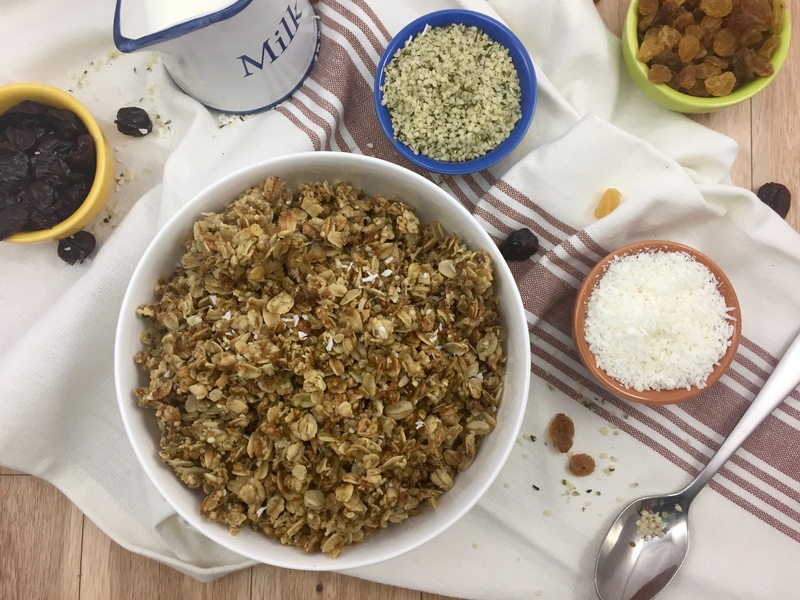 In this recipe I’ve combined quick and rolled oats, making this vanilla chia granola’s texture the perfect combination of crunchy and clustery. If you’re a true fan of granola my suggestion is to experiment with different oat combinations until you find the one that suits your personal preference. Preheat the oven to 300 degrees. In a large bowl combine the dry ingredients. Add the coconut oil and honey and stir with a large wooden spoon until the oats are fully coated with the liquid ingredients. Transfer the oats to a large baking sheet lined with parchment paper and spread evenly on the sheet. Bake on the middle rack in the oven for 30-35 minutes, stirring halfway through the cooking time, or until the granola is lightly golden. To get a super clumpy texture, after stirring the granola at the halfway mark, gently press down on the granola with the back of a spatula to make sure the oats are pressed up against each other before putting the pan back in the oven. Remove from the oven and let cool completely. Store in an airtight container in the pantry for up to one month. I am weird. I love breakfast foods (like passionately) but rarely actually eat them for breakfast. I know, bad girl, but my breakfast is usually something like coffee and a protein shake. I do love eating granola as an evening snack, though. It’s one of the few things I can make pretty well. This recipe sounds so yummy. I look forward to trying it! Oh my! This looks yummy! 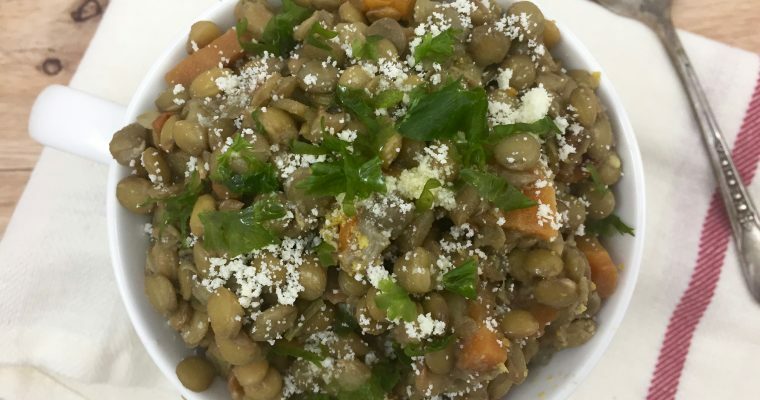 I’ve never actually tried Hemp Hearts, but maybe this recipe will inspire me to give it a shot. Thanks for sharing! Lately, I’ve been stuck on what to eat for breakfast. I had this phase where I was ONLY eating eggs and toast. This recipe seems like a real game-changer! Will totally have to try it out. This sounds amazing. My husband and I are always looking for delicious new recipes that fit our lifestyle. I think I may have to tell him about this one as it sounds like a winner! Pure vanilla bean powder is expensive and not easy to find in local grocery stores. I think it’s worth to include it in the recipe because it makes the taste heavenly and really good. We’ll try this recipe soon! I love this recipe, so simple and looks absolutely perfect for what I am looking for to sprinkle a bit on my yogurt. Although I have no idea what hemp hears so I will pass on that one. This looks delicious. I love granola. I will be trying this recipe! I am a lover of granola too! Well so are my kids! Makes for such a great addition to cereal, yogurt, and even ice cream! 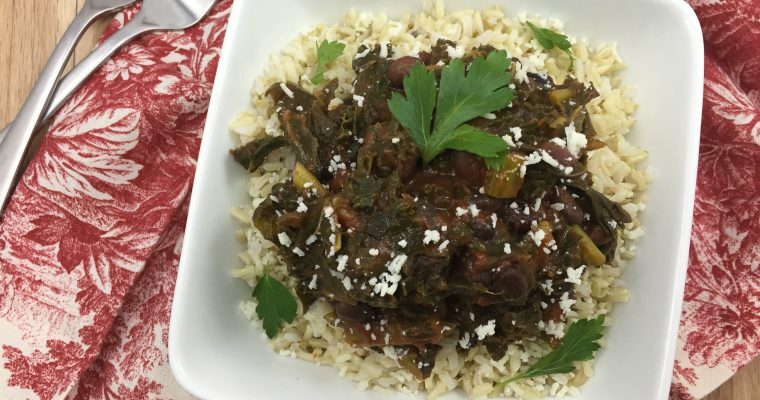 I haven’t given this type a try but it sounds fabulous and healthy! One of my favourite ways to eat it is actually with ice cream! YUM! I’ve been wanting to find something to make so I can use my Himalayan sea salt! I love using chia seeds, too and this is just a fun, different type of breakfast to make. Definitely going to try this! I love Himalayan sea salt, and add it to just about everything! That sounds so yum! My kiddos love anything with oats so I am going to make this for them. I have a feeling they will love it.!Thanks! Vanilla Chai might be my very favorite flavor – it is the drink I get at Starbucks too! YUM!! I will have to try this recipe. I love making granola so this would be a great recipe to share. For some reason breakfast is my most awaited and favorite meal of the day and Im always looking out for new recipes to try. Me and my husband loves oats and have them often for breakfast. Will try this recipe for a change too. Mine too, always! I don’t know why but I look so forward to a delicious breakfast to start the day off.